The man thrashing the students has been identified as Srinivasa Rao, a teacher in Deeksha IIT academy, Nandigama, Krishna District, Andhra Pradesh. 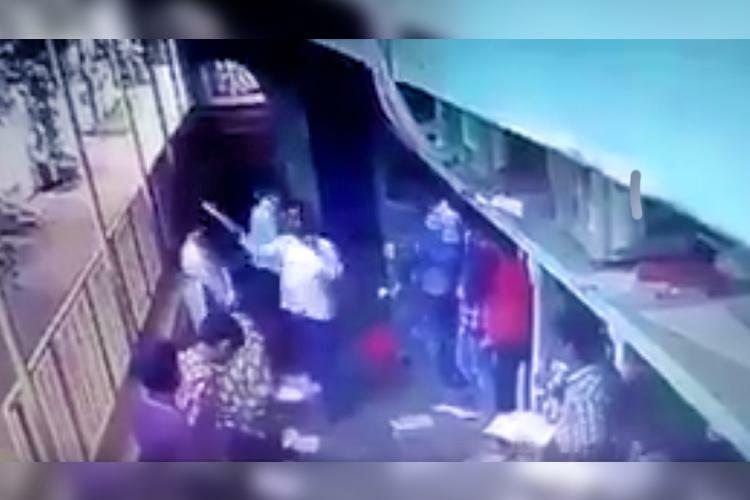 While both Andhra and Telangana have been marred with rampant student suicides owing to harassment and academic pressure, a video surfaced on the internet, showing a teacher thrashing his students. The man thrashing the students has been identified as Srinivasa Rao, teacher in Deeksha IIT academy, Nandigama, Krishna District, Andhra Pradesh. Reportedly the incident took place in August on the campus. However, it came to light on Tuesday. In the video captured by the CCTV, Srinivasa is seen caning and slapping the students brutally. According to reports, the video was leaked by the institute staff. After attention was drawn to the incident, the coaching centre reportedly sacked the teacher. According to reports, at least 50 students from the Telugu states—Andhra Pradesh and Telangana have committed suicide in the last couple of months, due to harassment by colleges and institutes or due to parental and academic pressure. Following the spurt of suicides of students studying in Junior Colleges and IIT coaching institutes, governments of both the states have reprimanded the institute management and have asked them to follow the guidelines of giving adequate breaks and reducing the study hours. Education Ministers G Srinivasa Rao and Kadiyam Srihari also asked the institutes to employ a counsellor, who could talk counsel the students and prevent suicides. Meanwhile, in a separate case of physical assault, a six-year-old girl, studying in UKG in a private school in Vadadhi, Visakhapatnam, was hit with a cane by the teacher for failing to do her homework. As a result, the six-year-old has suffered a fracture.